Everything you need to catch the big one! 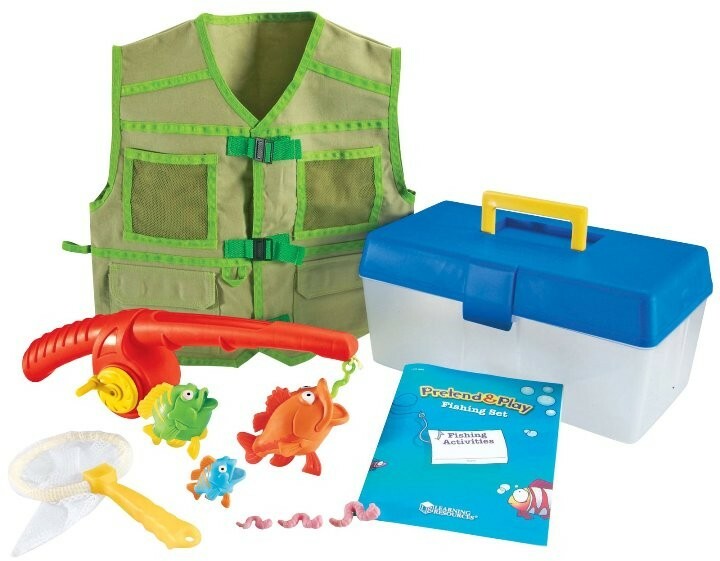 Includes tackle box, fishing pole with magnetic hook, 3 magnetic fish in different sizes, 3 worms, net, and adjustable fishing vest. 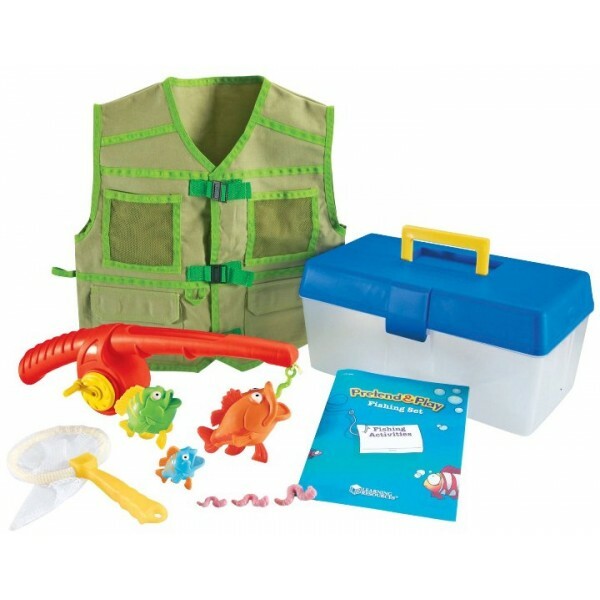 Reinforce hand-eye coordination along with size and color matching. Tackle box measures 13"L x 7"W x 6"H.